A new rumor claims that Apple plans to ditch Intel processors to instead adopt the ARM architecture currently found in devices like the iPhone and iPad. Though SemiAccurate is not a frequent source of Apple rumors, the site did report in July 2009 that Apple was moving away from Nvidia chipsets at a gradual pace. Currently, Apple's new MacBook Pros and iMacs exclusively feature AMD Radeon graphics, or Intel's integrated option. In addition to laptops, the report said that Apple would "presumably" be looking to move its desktop Macs to ARM architecture as well. It characterized the transition to Apple-made chips for its line of computers as a "done deal." 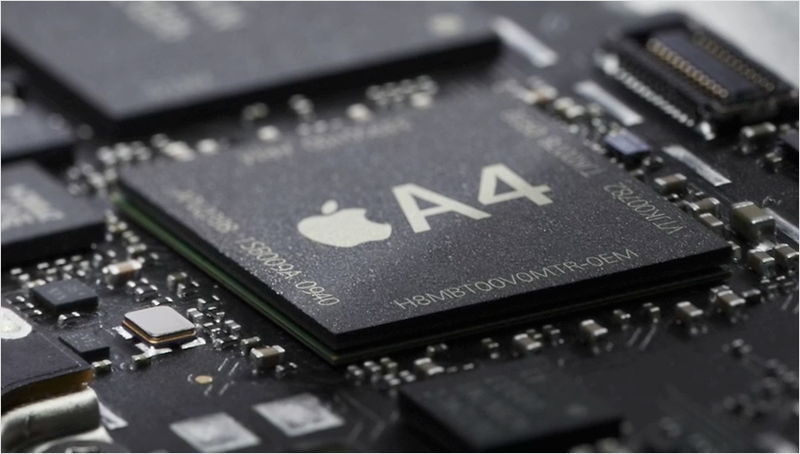 "Now you realize why Apple is desperately searching for fab capacity from Samsung, Global Foundries, and TSMC," the report said. "Intel doesn't know about this particular change of heart yet, which is why they are dropping all the hints about wanting Apple as a foundry customer. Once they realize Apple will be fabbing ARM chips at the expense of x86 parts, they may not be so eager to provide them wafers on advanced processes." The rumor comes just days after a report indicated that Intel could be interested in building mobile chips for Apple, like the A5 processor found in the iPad 2. Intel currently makes the CPUs powering Apple's notebooks and desktops, but Apple has turned to ARM processors for a range of devices, including its iPods, Airport base stations, and iOS devices, including the new Apple TV. Apple even entered the chip designing business starting with the A4 processor that powers the iPhone 4 and first-generation iPad. Apple gained the ability to design its own systems-on-a-chip through the acquisition of PA Semi for $278 million in 2008. Even Microsoft has plans for the ARM architecture in the future, as mobile devices offer longer battery life with the low-power chips. The Redmond, Wash., software giant revealed at this year's Consumer Electronics Show that the next version of its desktop operating system, Windows 8, will run on the ARM's architecture.